We are so excited to announce that Federated Insurance has partnered with the Missouri Grocers Association as the endorsed provider of property and casualty and workers compensation insurance, and financial protection services products including life and disability. Plus, Federated can help business owners with their estate and business succession planning through a network of independent estate planning attorneys. Federated’s industry-leading risk management support delivers value-added services to each client. 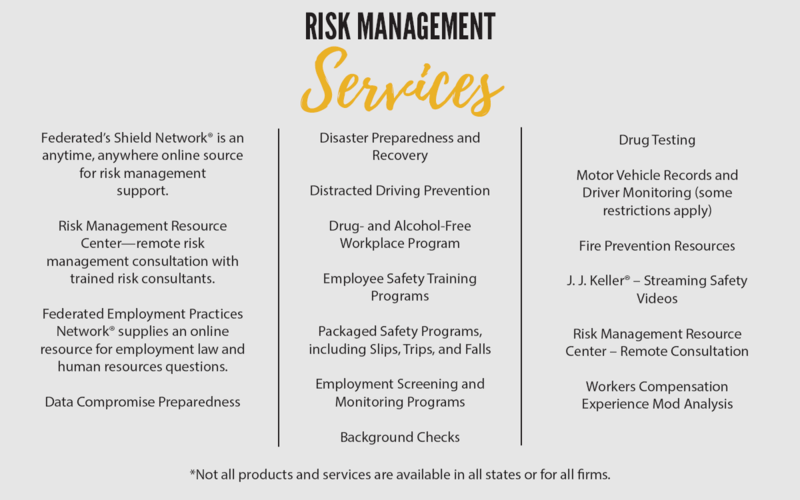 Clients have access to resources specifically designed to help them develop their own unique risk management program, using proven techniques and services. Backed by unrivaled personal service and a passion for risk management, Federated can help MGA members make their business even better.